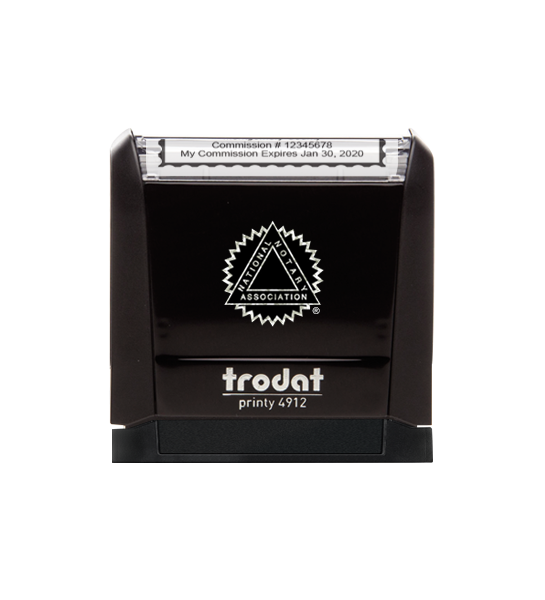 This Mini Style Stamp is an official Notary seal and is a smaller version of our top-quality Style Stamp. 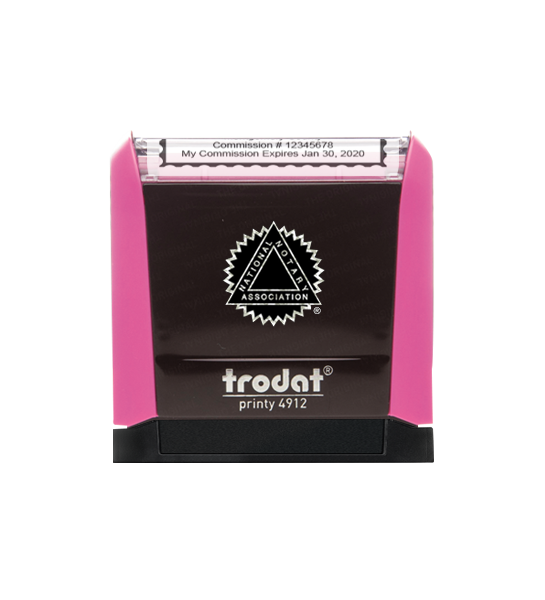 Smaller stamp impression is perfect for tight spaces. 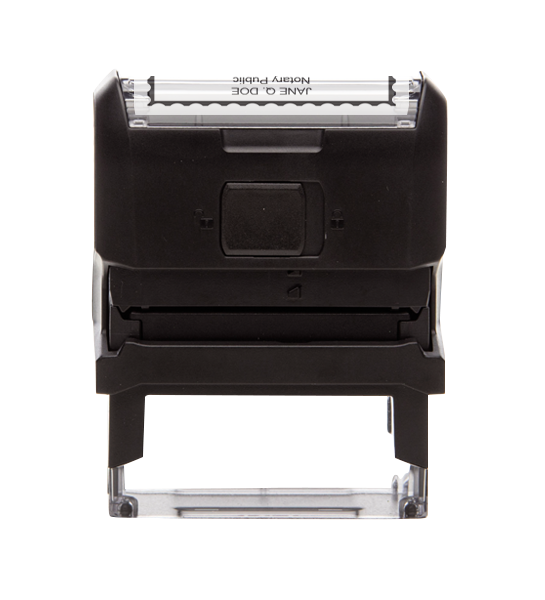 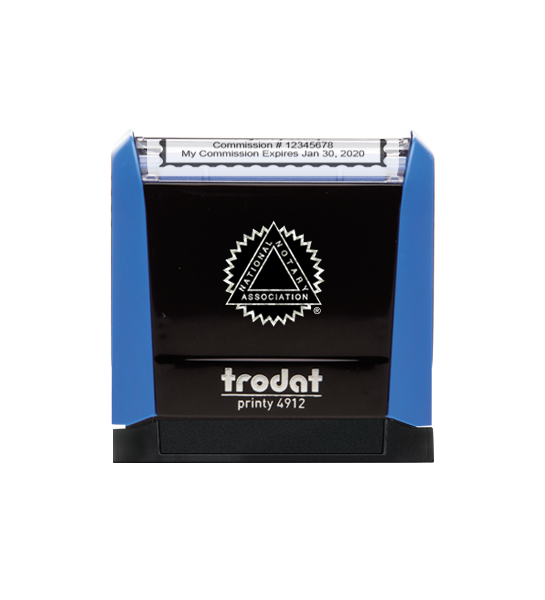 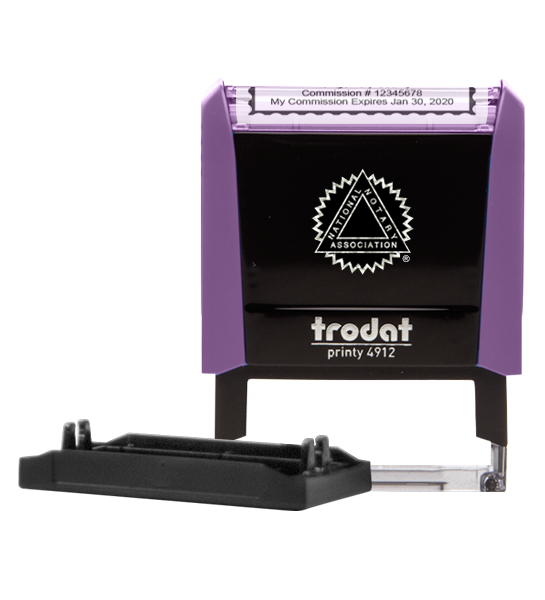 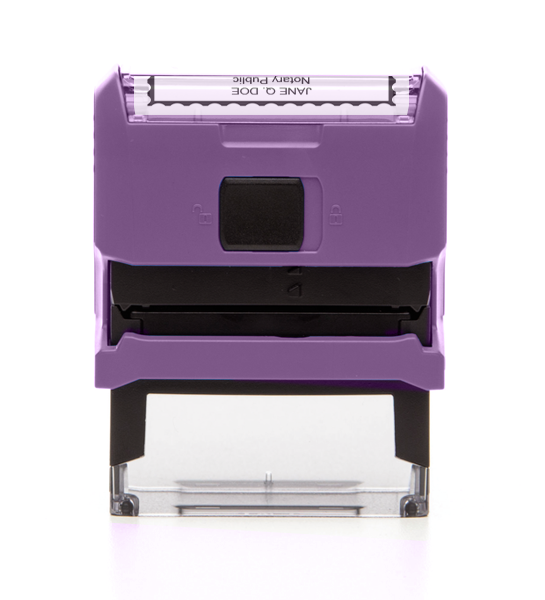 The transparent stamp chamber allows you to easily position your Notary seal impression exactly where you want it on the document for perfect placement every time. 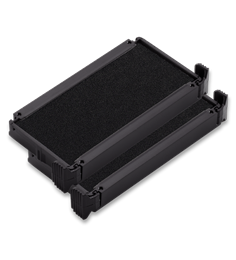 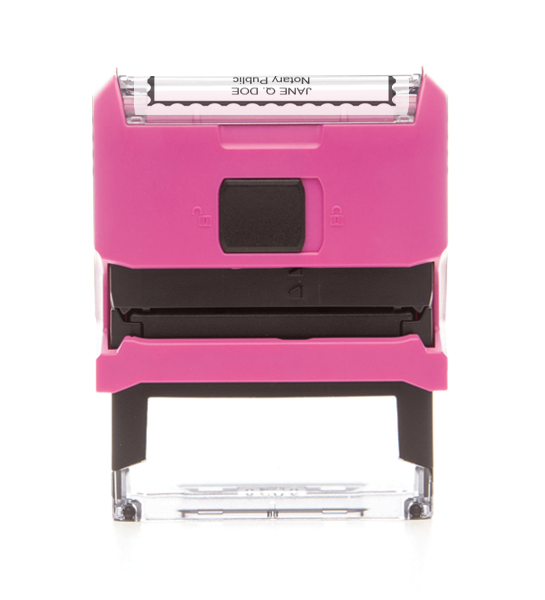 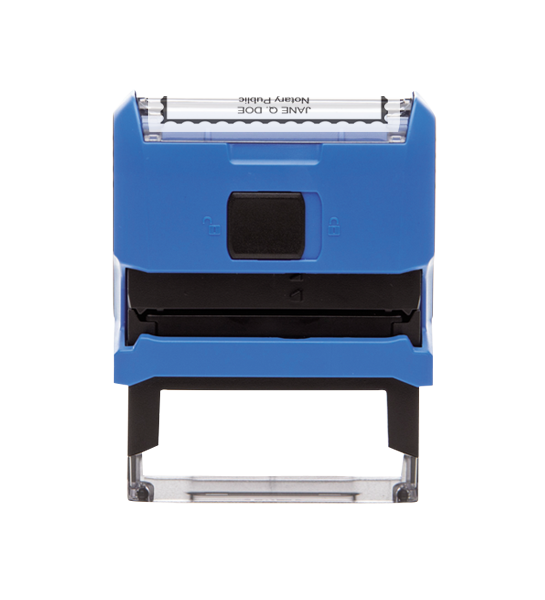 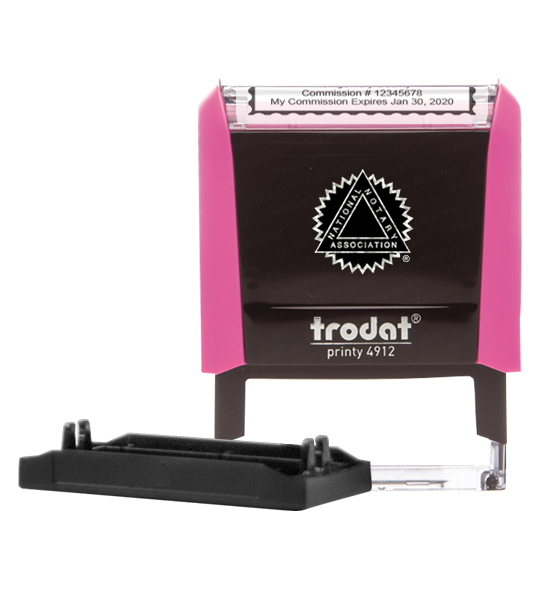 Stamp mount is available in black, blue, pink and purple. 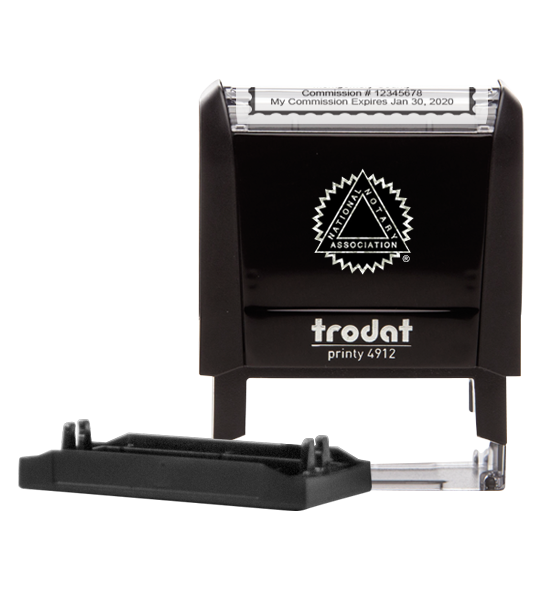 All Mini Style Stamps purchased at the National Notary Association are guaranteed for the length of your state's commission term. This stamp comes with black ink.